It’s no secret that I’ve tried a lot of beauty products…everything from high end department store brands to inexpensive drugstore makeup. After trying literally thousands upon thousands of differently priced beauty products I’m pretty confident when I tell you guys about my favorites. 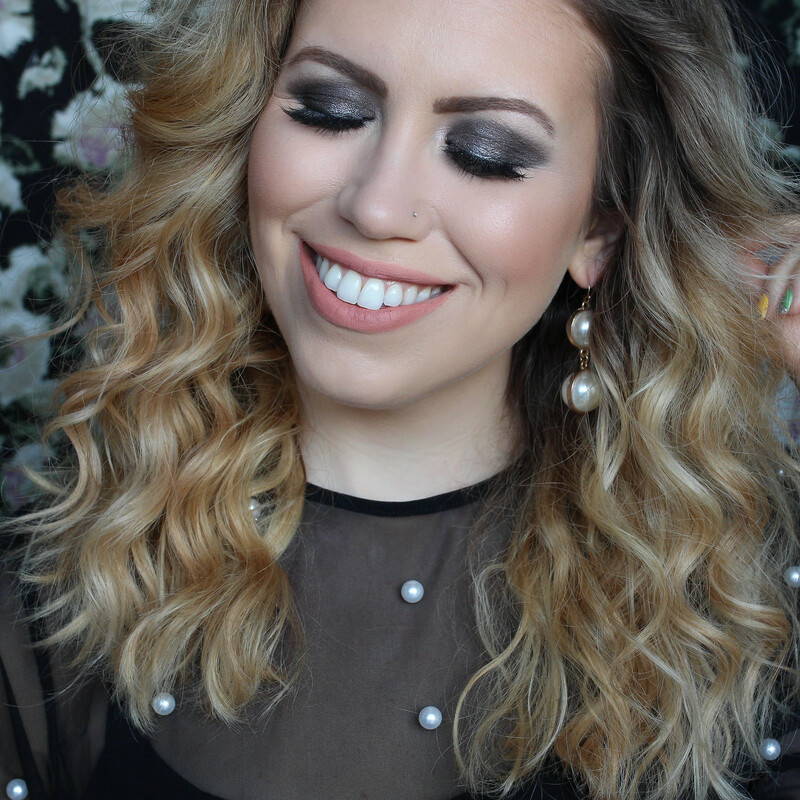 Today I’m revealing not only a new favorite, but what I think is the best drugstore makeup palette for smoky eyes! The eight shadows in Covergirl’s TruNaked Smoky Palette are perfect for creating just about any smoky eye look. From matte to shimmery, deep plum to black to metallic hematite and even the perfect white shadows to highlight under your brow and inner corners of your eyes. And the consistency of these shadows are way better quality that any other drugstore brand I’ve ever tried. They’re smooth and blendable and stay put once they’re on, plus unlike other inexpensive shadows they’re super pigmented. And did I mention this palette is only $10! If my love letter to this product didn’t convince you to pick it up then maybe these photos will! Scroll down for the full tutorial and let me me know what you think? I’d love to know if you’ve tried this palette and if you think it’s the best drugstore makeup palette for smoky eyes too! Prime face with Maybelline FaceStudio Master Prime Blue + Illuminate (c/o). Apply Hourglass Vanish Seamless Finish Foundation Stick with e.l.f.’s Foundation Blurring Brush. Conceal under eye circles with bareMinerals BAREPRO 16-HR Full Coverage Concealer (c/o). Prep lids with Ulta Matte Eye Primer (c/o). Apply shade 3 (third from left) from COVERGIRL TruNaked Smoky Eyeshadow Palette (c/o) to whole lid and along lower lashes. Apply shade 2 to crease a blend out. Highlight under brows and inner corners of eyes with shade 1. Smudge shade 5 along upper lashes to help conceal falsies! 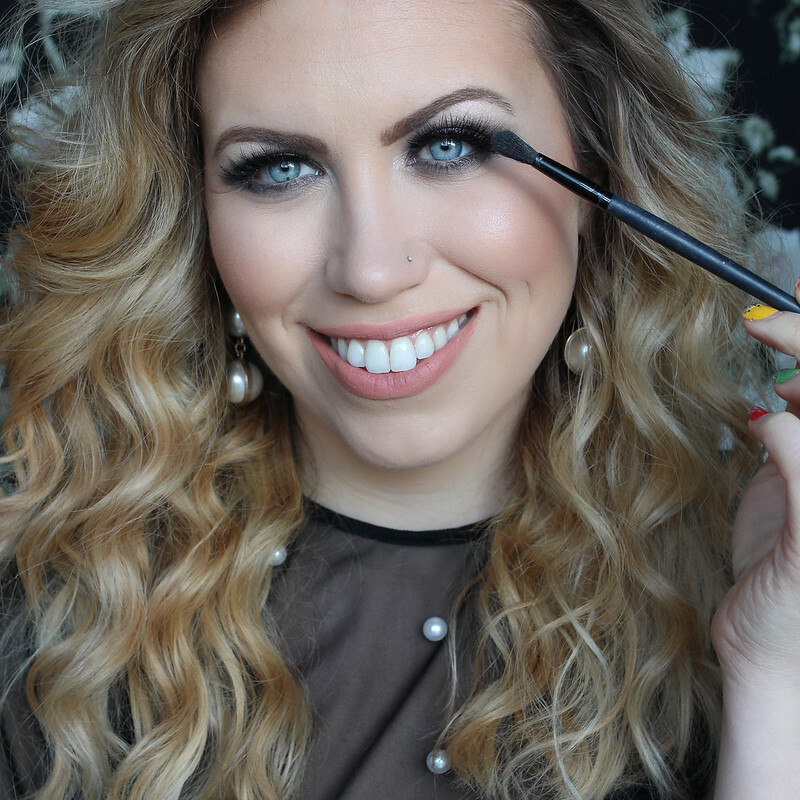 Curl eyelashes and apply 2 coats of tarte Tarteist Lash Paint Mascara (c/o) to upper and lower lashes. Apply Ardell Double Wispies Lashes. Set under eye concealer with e.l.f. Perfect Finish HD Powder (c/o). 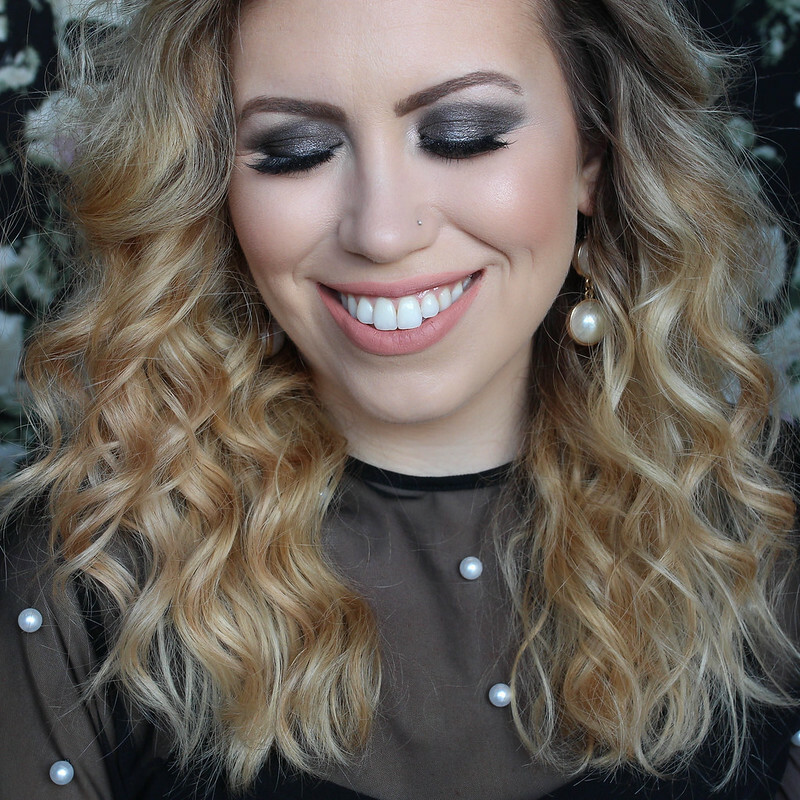 Apply bronze shade from Urban Decay Naked Flushed Palette in Naked (c/o) to hollows of cheeks and around hair line. Apply blush shade from same palette to apples of cheeks and blend. Highlight cheekbones, nose, under brows and inner corners of eyes with highlighter from same palette. Highlight cheekbone, down nose, inner corners of eyes and under brows with e.l.f. cosmetics Illuminating Palette (c/o). Groom brows with COVERGIRL Easy Breezy Brow Fill + Shape + Define Powder (c/o). Set brows in place with e.l.f. Sweat Resistant Brow Gel (c/o). Apply COVERGIRL Melting Pout Matte Liquid Lipstick in Ballerina (c/o) to lips. Curing the Winter Blues with Spring Blues!